This clock is really a rare clock. 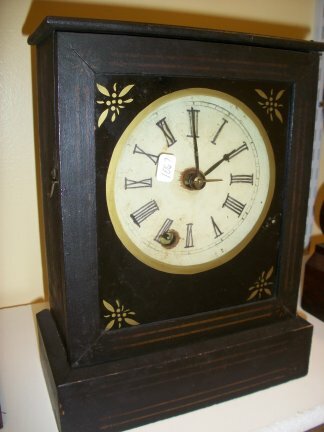 It was made by Chauncy Jerome and is very early, circa 1845. The clock is unique in a couple ways. First of all it has what is called an "upside down" works. That means the the works were designed to run in an inverted position to other works. 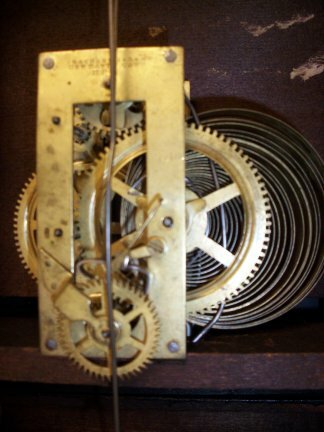 The escape wheel is on the bottom of the works and the crutch goes up rather than the opposite in other works. The second is that it still has the hardened "brass' mainsprings. You can see from the picture that the works are upside down to all other clocks. The escape wheel is on the bottom of the works and the crutch goes up rather than down. 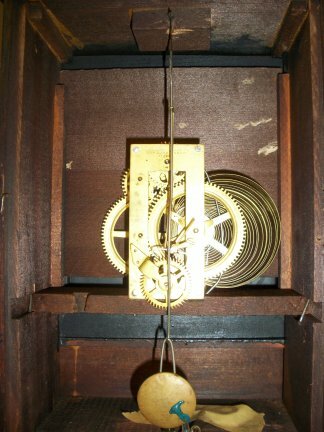 This also considered a "regulator" style movement since the pendulum is supported by the top of the case rather than by the movement. 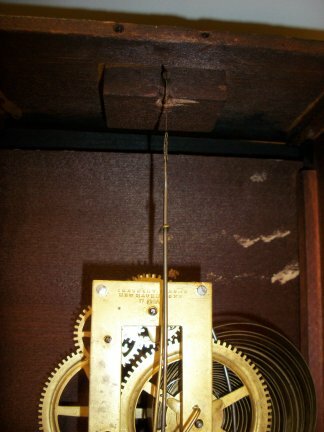 Another unique feature is that it still has its original mainspring made of tempered brass, this is highly unusual, most have been replaced through the years with steel mainsprings. 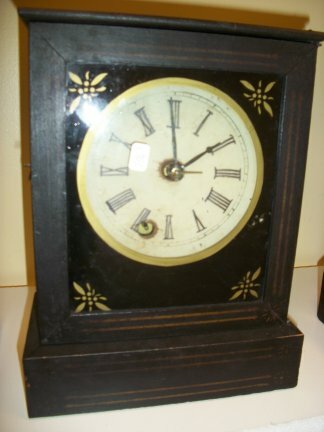 As far as I can tell this clock was made circa 1840 and still runs the 30 hours it was designed for with the brass mainsprings.